Providing access to our National Collection, to an archipelagic nation like The Bahamas, has proven difficult given its length and breadth. As a result, the NAGB’s Education Department, in collaboration with its Curatorial Department, created a traveling exhibition featuring two master artists of The Bahamas, Maxwell Taylor and Amos Ferguson. The exhibition is accompanied by an extensive community outreach initiative, inclusive of free workshops on the practices of both artists, a public talk, school visits (primary and secondary) and donations of museum literature for art teachers, schools and public libraries. Amos Ferguson. Flowers in Conch Shell Varse. 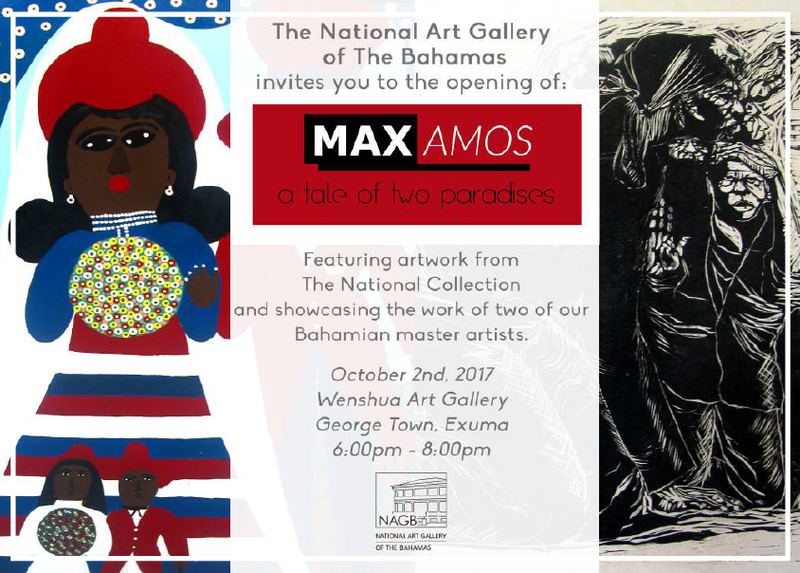 The Max/Amos exhibition delves into the various aspects of Bahamian society and culture in relation to our global recognition as a paradise nation. Both Taylor and Ferguson get to the heart of the Bahamian experience with a blunt honesty and sense of integrity that speak them as artists and Bahamians.